Earlier tonight, we attended one of our favorite menswear lines, Grungy Gentleman FW18, founded by Jace Lipstein who is also the designer. During his show, he showcased GG x Darrelle Revis (Kansas City Chiefs), GG x National Basketball Players Association collection and GG x Subway Tile Shirts. Looks were paired with Grungy Gentleman x Timberland footwear and a Grungy Gentleman x Chalk Line bomber jacket, along with footwear provided by Adidas. Prior to and after the show, DJ Juanyto of Hot 97 played a set while we enjoyed Natalie’s Orchid Island Juice and Hennessey. Hair and makeup was done by New York Institute of Beauty. 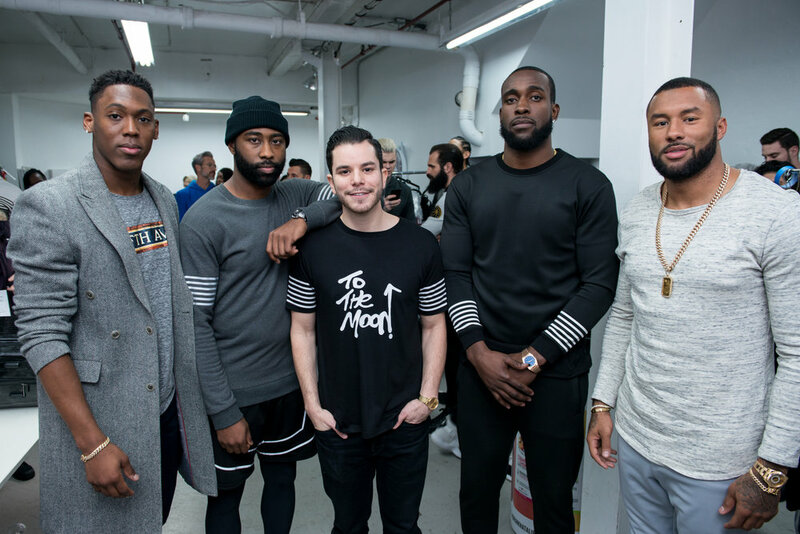 NFL Kansas City Chiefs cornerback Darelle Revis opened the show along with Seattle Seahawks strong safety Kam Chancellor, NY Giants running back Wayne Gallman, and Dallas Cowboys cornerback Nolan Carrol, who modeled/walked in what was Grungy Gentleman’s 8th menswear runway show.